The Innovators tells the story of the gallery directors who revolutionised Sydney’s art scene in the 1960s and 1970s. A diverse group, their bravado and vision swept aside parochial attitudes and established an Australian tradition with an international outlook. We now understand this period as one of the most exciting in Australian art. Their galleries played a crucial role in this development. Rudy Komon, Gallery A, Watters, Central Street (later Coventry) and Hogarth Galleries set out to show controversial work. As gallerists (or art dealers) they were the first to see the artist’s work and were at the cutting edge. They decided which artists to promote and to show the public. 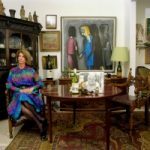 They liaised between their artists and their collectors, institutions, media and critics. Artful personality Rudy Komon established “the first gallery in Paddington” (and spearheaded the gentrification of Sydney’s inner-east). He skillfully established a stable of artists. He played father to Bob Dickerson, Jon Molvig and Fred Williams and encouraged the business community to collect. He introduced the Antipodeans and neo-Dadist Annandale Imitation Realists (Mike Brown, Ross Crowthall, Colin Lanceley). Others soon followed and a creative, cosmopolitan era was launched. Gallery A sold avant-garde painting out of a renovated convict-built cottage in Gipps Street, Paddington. Watters Gallery opened in a tiny Liverpool Street terrace, East Sydney in 1964. Committed to brash, quirky and political art, Watters presented Vivinnne Binns, Richard Larter, Robert Klippel and Vicki Varvaresssos. So much so that Patrick White quipped it was “not – as some are – like a branch of the Sydney Stock Exchange”. Central Street showed local abstract works alongside American work and tried to inform Sydney about the latest international trends (like colour field painting). Coventry Gallery’s Chandler Coventry’s selection featured Gunther Christmann, Denise Green, Christo and Charlotte Morman. Iconoclastic Clive Evatt at Hogarth Galleries revelled in art hoaxes and contradictions. His fascination with surrealism and dada introduced issues of gender and race. This is the first exhibition to document these times of upheaval and ‘happenings’. ‘The Innovators’ chapter in Australian art closes in 1978. The first Gay Mardi Gras art exhibition and the community D’Oyley exhibition (both at Watters) were harbingers of a new epoch of identity politics and socially inflected art practices. An enlarged state-funded art system stole the limelight from these maverick risk-takers. Yet, private patronage and the gallery system remains the primary support system for artists. This project pays tribute to contribution to Australian art history. Rudy Komon established Rudy Komon Gallery in 1959 handling leading traditional and contemporary artists, Rudy Komon died in 1982. The Gallery continued until 1987 directed by Gwen Frolich. Ann Lewis opened Gallery A in Sydney 1963 in Gipps Street, Paddington and it closed in 1983. Frank Watters Watters Gallery, along with Geoffrey & Alex Legge established their gallery in 1964, first in Liverpool Street, Darlinghurst and later in Riley Street, East Sydney. Chandler Coventry took over manging Central Street before opening Coventry Gallery in 1970 first in Hargrave Street and later 56 Sutherland Street, Paddington. (The Gallery closed following Coventry’s death in 1999). Sunday 27 June – CREATING THE ART BOOM Three speakers discuss the evolving Australian art market over the last 40 years. Michael Reid writes the “Medici Principle” column for The Australian and lectures at College of Fine Arts, UNSW. Art valuer Sue Hewitt served wine at the Rudi Komon Gallery and worked at Christies from 1969 to 1993. 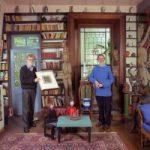 Stephen Scheding, the art historian and psychologist, worked for Clune Galleries in the ‘60s and wrote the collectors’ best seller, A Small Unsigned Painting (1998), the story of an obsessive search to authenticate an early Lloyd Rees artwork. Sunday 4 July – A CHANGING SCENE When Frank Watters opened his Watters Gallery in 1966, his customers spent less than $100 each. Twelve years later his customers were paying an average of $1000 per work. 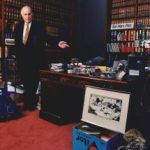 Philanthropist collector Chandler Coventry arrived in Sydney in 1965 and got involved in running the artist-initiated Central Street Gallery, Sydney’s answer to London’s hard-edge painting scene. 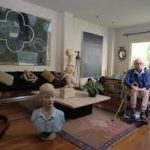 He went on to establish his own Paddington gallery and his substantial collections donated to Armidale and Campbelltown art galleries, are the nucleus of surprising and strong regional collections. Christopher Allen, art historian, lecturer and art critic, is the author of Art in Australia (1997). Aspects of the Watters and Coventry collections appear in The Innovators. Sunday 11 July – WHY COLLECT OZ ART? Four stellar collectors will discuss their collecting philosophies. Artist and raconteur Peter Fay’s collection of contemporary ephemeral and abject installation materials is particularly idiosyncratic. Liz and Colin Laverty have researched, collected and collaborated on landmark publications and shows on paintings about our colonial sporting pastimes, expressionist abstraction and fine Aboriginal works. These have been shown at S.H. Ervin and the MCA. Hugh H. Jamieson has a famous personal collection and established the inspiring Allen Allen & Hemsley collection. Sunday 18 July – COLLECTING John Cruthers, the film producer and consultant collects contemporary art. He curated the noted In the Company of Women for Perth Institute of Contemporary Art (1995), from his family’s renowned collection of self-portraits by Australian women artists. Stella Downer is an independent art consultant and valuer who deals in many aspects of Australian art. Darren Knight runs his own distinctive and “edgy” gallery and collects emerging Australian and New Zealand artists with a social twist. Sunday 25 July – TAKING RISKS Clive Evatt, barrister turned fine art lecturer, ran the Hogarth Gallery (1963-1973). Returning to the law, Clive has turned his curatorial impulses towards a fine collection of bark paintings, which the MCA exhibited last year, and Leura Toy and Railway Museum. Ann Lewis managed Gallery A, Paddington, until it closed in 1983. She is a Director of the National Gallery of Australia, Canberra, and has orchestrated Howard Arkley’s show at this year’s Venice Biennale. Bernice Murphy was curator at the Art Gallery of NSW and subsequently developed the MCA over fifteen years. Bernice will speak on the ways that private collectors interact with public institutions. Sunday 1 August – AN EYE TO FUTURE TRENDS Christopher Dean, artist and art theorist, has a particular interest in Sydney’s ‘60s and ‘70s art scene. His tribute to the period, ‘Paintings for Houses’, is installed concurrently with The Innovators. 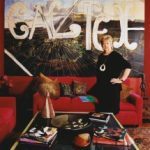 Annette Larkin worked at Macquarie Galleries and Newcastle Regional Gallery before taking up her current position as modern and contemporary Australian painting valuer at Christies. Dr Ian Hill and Morna Seres collect ‘difficult’ abstract and figurative art. Their eclectic collection does not have a particular theme, apart from a genuine commitment to young artists and contemporary art.